With a stay at Arapahoe Inn in Keystone, you'll be a 3-minute drive from Keystone Ski Resort and 8 minutes from Arapahoe Basin Ski Area. 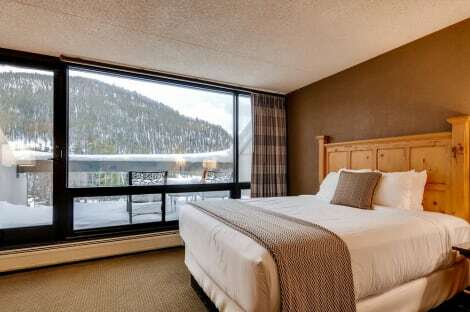 This hotel is 5.6 mi (9 km) from Keystone Ski Area and 7.6 mi (12.3 km) from Dillon Reservoir. Featured amenities include a business center, complimentary newspapers in the lobby, and dry cleaning/laundry services. Planning an event in Keystone? This hotel has facilities measuring 10000 square feet (929 square meters), including a conference center. Free self parking is available onsite. After a day on the slopes, enjoy recreational amenities including an outdoor pool and a spa tub. Additional amenities at this condo include complimentary wireless Internet access and ski storage. With a stay at River RUN Townhomes in Keystone (River Run), you'll be close to Keystone Ski Resort and Keystone Ski Area. With a stay at River RUN Townhomes in Keystone (River Run), you'll be close to Keystone Ski Resort and Keystone Ski Area. This 4-star condo is within close proximity of Keystone Conference Center and Keystone Lake. This 4-star condo is within close proximity of Keystone Conference Center and Keystone Lake. Pamper yourself with onsite massages and facials. After a day on the slopes, you can enjoy recreational amenities such as an indoor pool and a spa tub. Additional amenities at this condo include complimentary wireless Internet access, concierge services, and ski storage. You'll be on the slopes in no time with the complimentary ski shuttle. When you stay at Oro Grande Lodge in Keystone, you'll be in the mountains, a 4-minute drive from Keystone Ski Resort and 8 minutes from Arapahoe Basin Ski Area. This ski condominium resort is 4.7 mi (7.6 km) from Keystone Ski Area and 6.8 mi (10.9 km) from Dillon Reservoir. After a day on the slopes, enjoy recreational amenities, which include a spa tub. The complimentary ski shuttle makes getting to the slopes a breeze. Take advantage of recreational opportunities offered, including an indoor pool, an outdoor tennis court, and a fitness center. Additional amenities at this condominium resort include wireless Internet access (surcharge), a picnic area, and barbecue grills. Rocky Mountain Resort Management Keystone offers accommodations throughout the area in Keystone. lastminute.com has a fantastic range of hotels in Keystone, with everything from cheap hotels to luxurious five star accommodation available. We like to live up to our last minute name so remember you can book any one of our excellent Keystone hotels up until midnight and stay the same night.